Thankfully, this year LL's open house did not fall on the same day as mine! Her open house was on the Wednesday of pre-planning from 3-5. I worked a full day getting everything ready for my class, and Matt brought her out at 3 for us to all ride over together. Look at my big girl ready for 2nd grade! I love her silly side! With our first baby - our SECOND GRADER! How is the world is this happening? She is just starting to look so grown up. And TALL! She's almost to my shoulders! 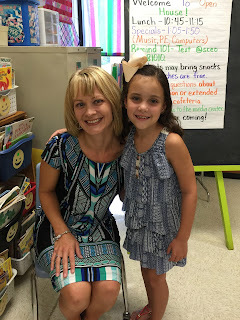 LL and her 2nd grade teacher, Mrs. Bryan. We are all looking forward to this year, but there are definitely some hurdles that we're having to jump over. 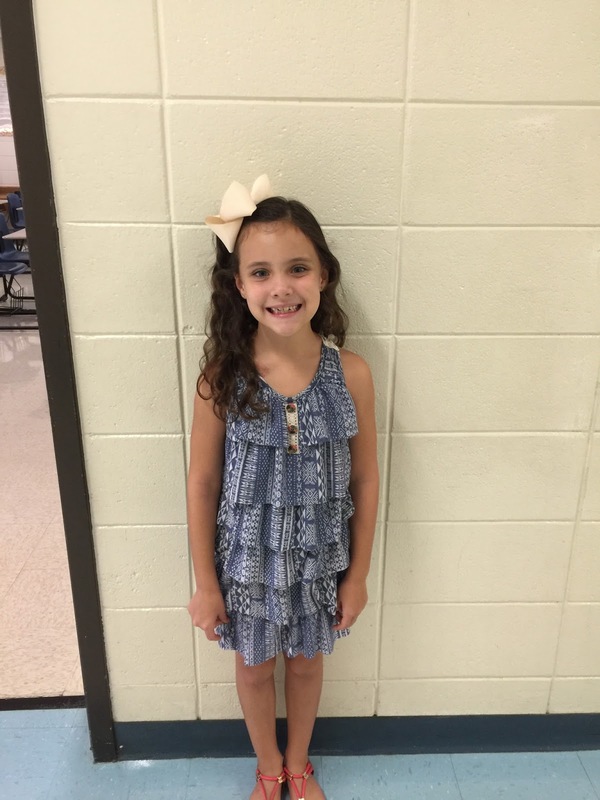 This is LL's first year in public school without her best friend, Maddie. She has handled it so very well so far, but I know she misses her. She also had only a few friends from 1st grade roll over to her 2nd grade class with her (and they're all boys - haha). So having to start all over and form some solid girl friendships is not an easy thing to do. 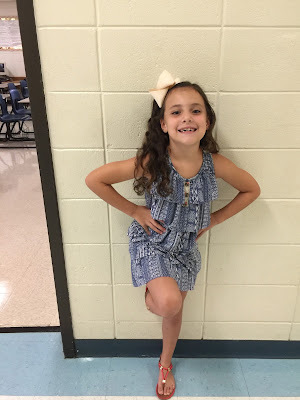 Thankfully, her teacher seems very nice, and we have only heard fantastic things about her, and the boys that we do know in her class are great kids. 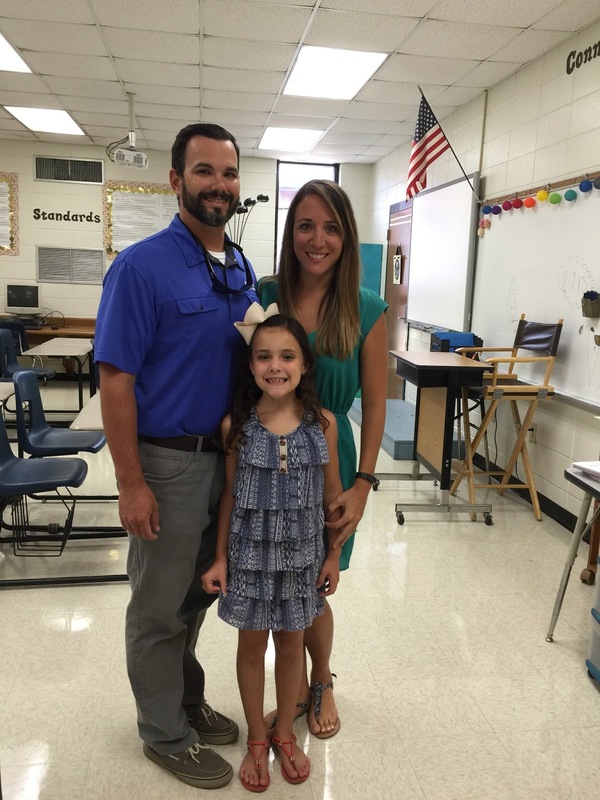 It also seems like 2nd grade is going to be very challenging academically on her. I won't lie - I'm nervous about that! But I just keep reminding LL that she is so very smart, and that hard work isn't a bad thing! 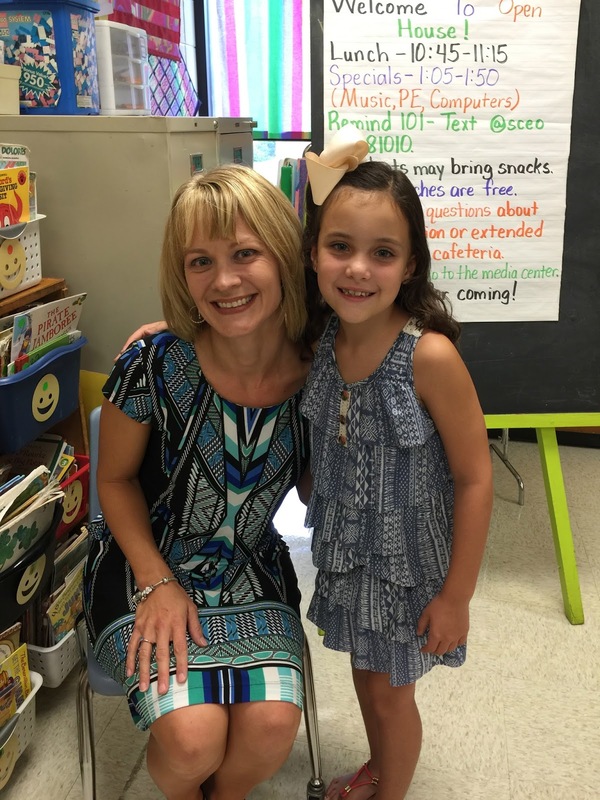 Here's to a great second grade year!